The premise of this recording was simple: create a recording of solo contemporary piano music written by living Southern California composers. The purpose of the project was to illustrate the tremendous diversity of approaches to piano writing and the wide variety of musical styles used by the composers. The CD highlights the vitality and creativity of SoCal musical life and attests to the fact that composed music for the piano still flourishes. 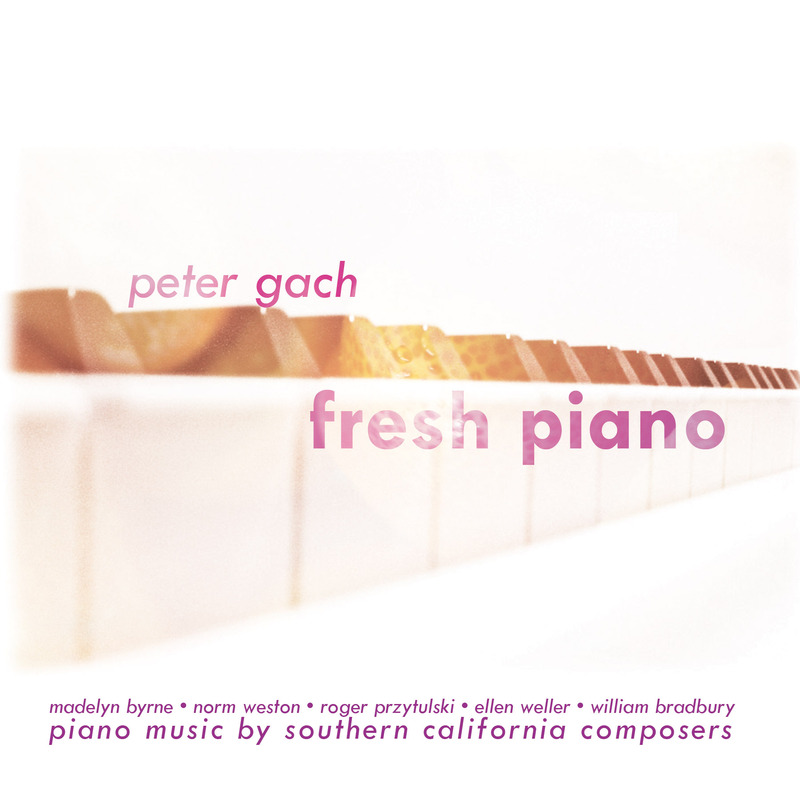 Peter Gach has spent most of his professional musical life in the San Diego area, and is currently Artist in Residence at Palomar College. Throughout his career, he has sought to actively propagate new music, most especially that of composers whom he personally knows and has worked with. This commitment to ‘localism’ is also a commitment to cultivating an intense musical life wherever he finds himself. It is a dedication to the support of a thriving musical culture that seeks to reach and integrate the audience into the creative process. It is neither ivory tower, nor a cult of esoteric contemporary music lovers far removed from the general public. Gach is also committed to the proposition that present-day pianists should not only (and principally) be ‘museum curators’, preserving music of the past, but more importantly facilitators for the development of a rich contemporary musical scene. To that end he has commissioned and premiered numerous works for solo piano, some of which are recorded here.